Need a translation? I gatchu! Shito is a hot black pepper sauce originating in Ghana and it is used to add a kick to many local dishes. 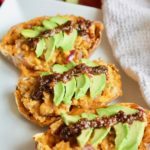 I honestly add it to almost anything I can because it is absolutely delicious! 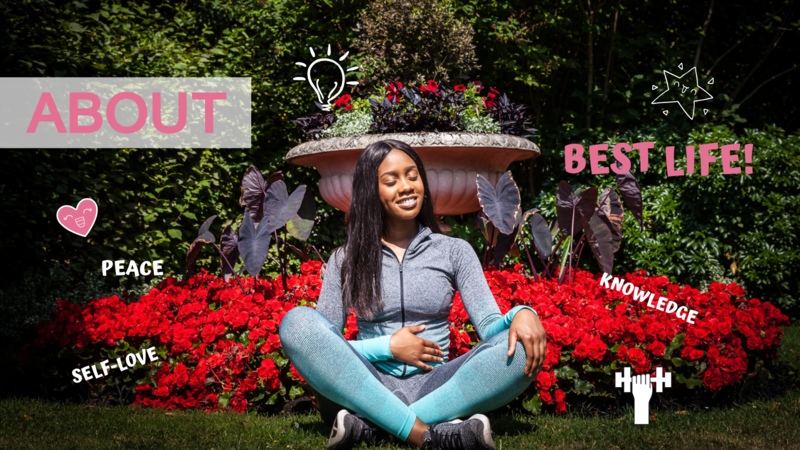 You can make it yourself at home or you can buy it. If you are based in a non-West African country you can find it in your local African grocery store. 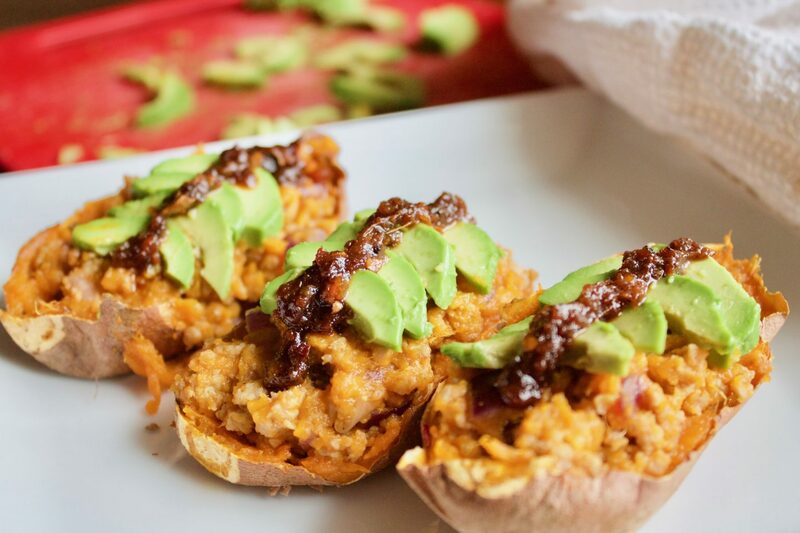 Well, in this recipe, I decided to experiment with shito a little bit and used it to top my sweet potato skins. 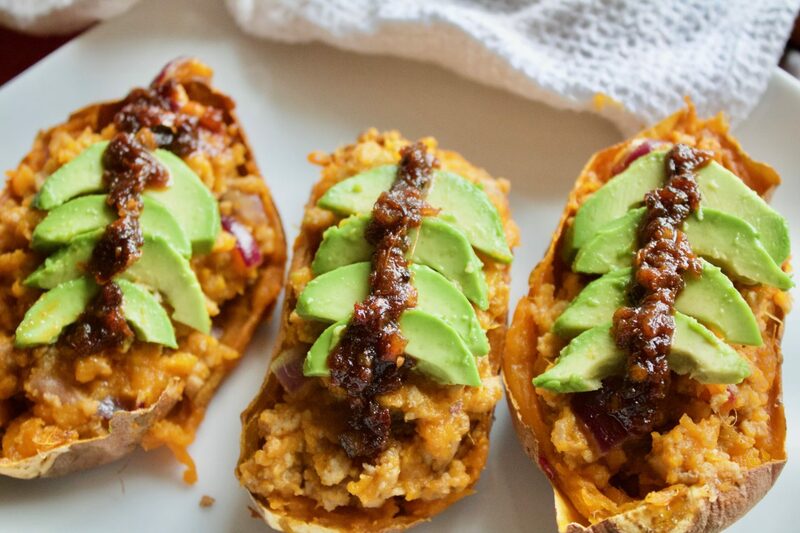 Sweet potato skins is an appetiser common in the USA but the original recipe uses white potatoes. 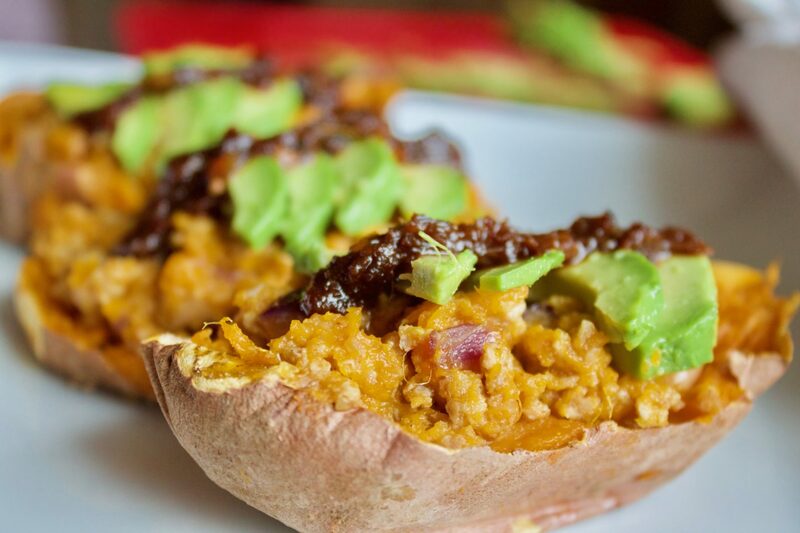 Sweet potatoes, in my opinion, are so much tastier and they are more nutritious than white potatoes. 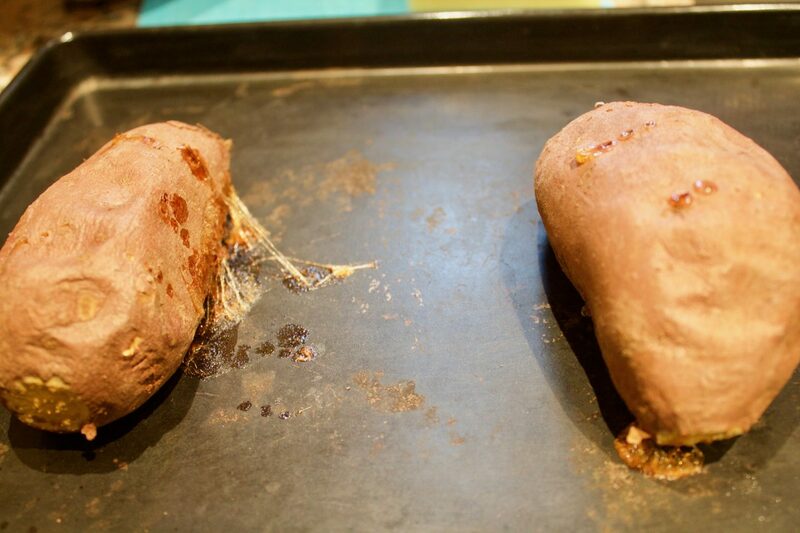 Wash and dry your sweet potatoes. Poke holes in them with a fork and place them on a baking tray and into the oven at 200*C for 1 hour until soft. In a pan, fry your chopped red onion in olive oil until softened and add your turkey mince. Cook turkey mince through and add your salt (to taste), paprika, garlic powder and chilli powder. Stir for 1 minute and put to the side. 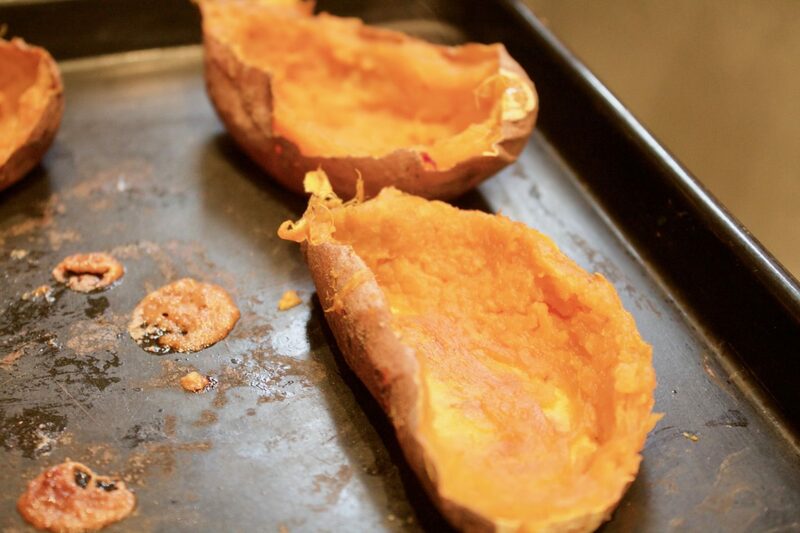 When the sweet potatoes are done cooking, take them out of the oven and let them cool down for 5-10 minutes. 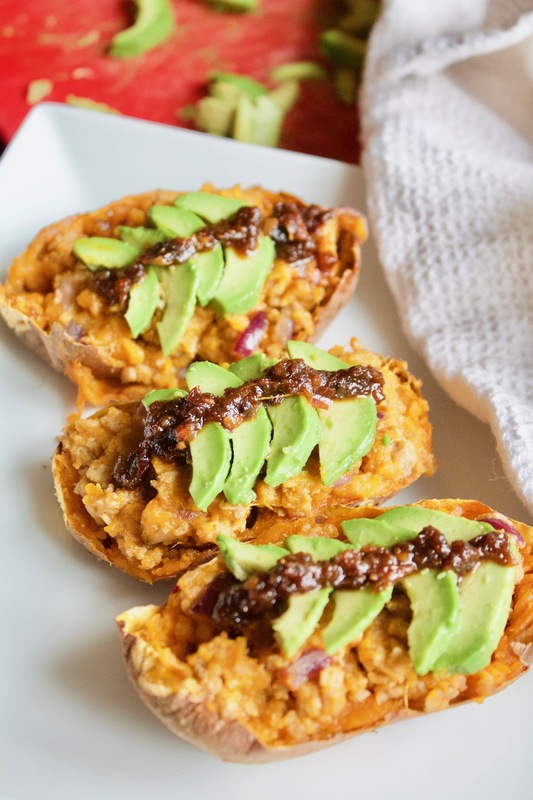 Add your turkey mix to the sweet potato skins and combine. Scoop the combined mix into your empty skins and top with chopped avocado and shito. Enjoy! 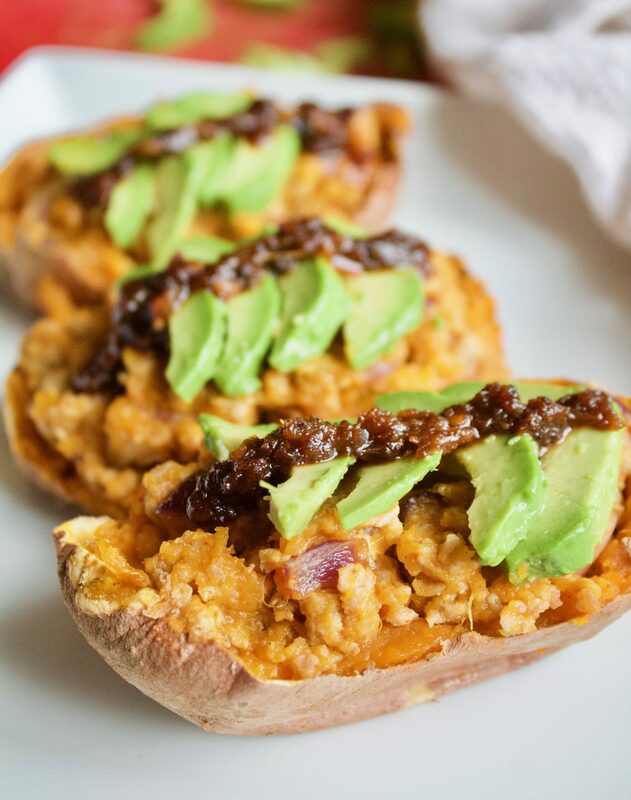 Sweet potatoes once baked! 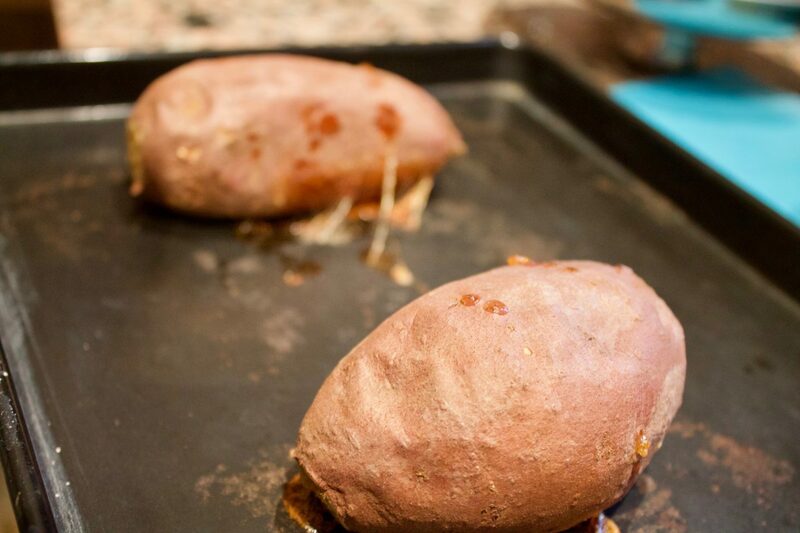 The sweet potatoes caramelised in the baking tray! YUM!